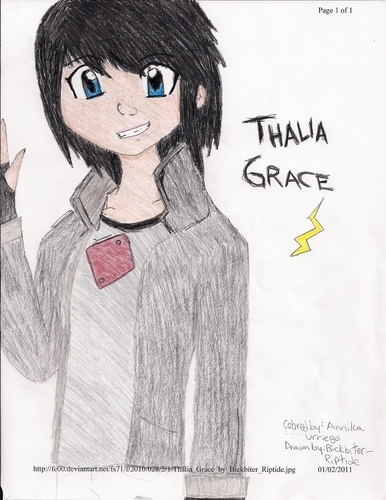 Thalia Grace. i drew her body and colored everything else but i printed her head(wow that sounds weird) and i fix up her head(wow that still sounds weird well i think it does). HD Wallpaper and background images in the Percy Jackson & The Olympians Bücher club. thanx!!!! i didnt even finished it!!! oh wow i forgot her pants!!! well i was going to color them black. lol! thanx Percy_!!! u made my day!!! Thanx!!!! btw, nice icon pic!! thatz such a cute dog!!! Cool! It"s so cute! Thalia is my favorite! yea, Thalia is my favorite too! !